TinyG compatible controller for CNC. 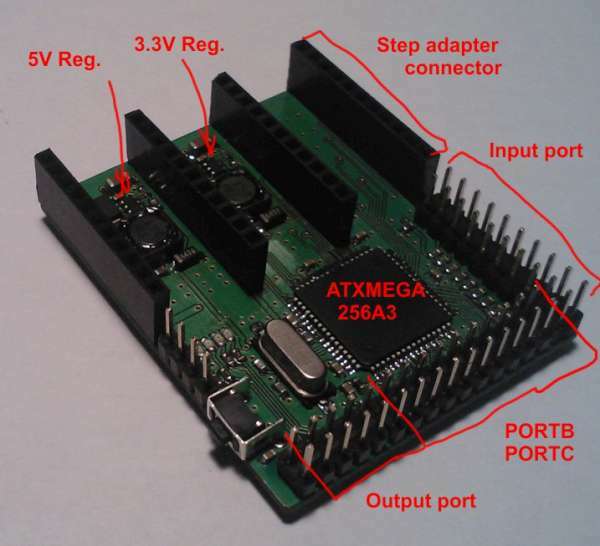 Build on ATXMEGA256A3. 2x Step-down DC-DC for 3.3V and 5V. Plugin adapters based on DRV8818 or DRV8825 from TI and miniUSB or bluetooth link to host computer. This entry was posted on Monday, April 8th, 2013 at 1:08 pm	and is filed under tools. You can follow any responses to this entry through the RSS 2.0 feed. You can skip to the end and leave a response. Pinging is currently not allowed.